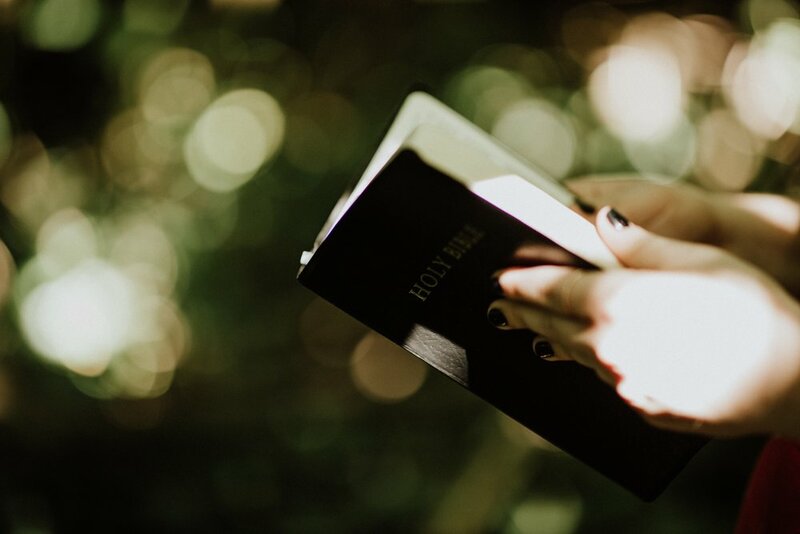 I grew up hearing my dad and other adults at church talk about their “morning devotions.” I wasn’t quite sure what that meant, even though I knew it involved reading and prayer. It was different from classes that took place on Wednesday nights at our church, but other than seeing the highlighted pages of my dad’s Bible, I never quite understood what it was that he woke up so early to do. Later, as a teenager in youth group, the term evolved into “quiet time.” I still wasn’t sure why it was labeled that, other than out of reverence. There wasn’t a great deal of conversation about “how” to actually have one. I just knew that it meant a bible reading plan, and maybe listening to a CCM artist sing a song (Hillsong wasn’t part of the worship scene yet). I was a college student when I met my husband, and at some point (long before we were dating) I remember him using the phrase, “Jesus time” when referring to His “quiet time.” It sounded so foreign, but also so cozy. It felt genuine and intimate— the way you would describe hanging out with a friend. I decided to adopt this description, and to this day, it’s what we call our time of Bible study and prayer. Our kids are growing up in a home where it’s normal to talk about “Jesus time,” and they get the bonus of seeing it practiced regularly. It isn’t an expectation that we are going to lay on them, without having first modeled and explained it. Just last week I had the joy of showing my youngest daughter how to look up Scripture verses— by book, chapter, and verse. Getting into the Bible is something that has become lost in our technology-driven world. With YouVersion and She Reads Truth apps (of which I have both of on my phone), we no longer need to know how to read scripture for ourselves. When we read off a screen we lose some of the sacred and intimate nature of the Scriptures. It is a different experience to turn the pages and see the notes jotted in the margins and pen bleeding through the thin pages. We get used to searching topically for verses to help us with whatever is going on in our lives, and we forget that it is a continuous story woven through the Bible. Knowing how to look up a verse is a lost art— knowing the books of the Bible in order is something that many Sunday-school-attending children used to memorize, but it is no longer necessary because Siri is available when you need a reference on the fly. If this idea, of having a regular, personal, connection time with Jesus is foreign to you, then first, I apologize that you’ve been kept in the dark for so long. There is good news friend, God longs to spend time with you, and wants to speak to you— today. And tomorrow, and every day for the rest of your life. He’s not a stand-offish god that isn’t keenly aware of what’s happening in our lives, nor does He leave us to fend for ourselves. He aches for us to come to Him, regardless of our day, or whether we feel worthy enough to do so. He’s eager to spend time with us, whispering His truths over the lies we hear, sharing His helpful tips on how to deal with troublesome kids, a frustrating boss, a spouse who is distant, a friend who is less than loyal. 3. Start in one book, and read the entire thing through. Don’t jump around too much. The Bible is made up several short books, so reading them from beginning to end is how they were intended to be consumed. If you’re new to Bible reading, I would start in the Gospels (Matthew, Mark, Luke or John); it’s the story of Jesus, told four different ways, and it never gets old. If this isn’t your first time opening a Bible, decide on a section and read it through: the letters to the churches in the New Testament (Galatians, Ephesians, Philippians, Colossians), or head to the Old Testament for the Origin story in the first five books (Genesis, Exodus, Leviticus, Numbers and Deuteronomy). Take in the lessons from the great leaders of Kings, Chronicles, Joshua, and Judges, or spend time reading the poetic words of wisdom in the middle (Psalms and Proverbs). 4. Take your time— remember the goal is to connect with Jesus: what does He want to say to you, teach you, reveal to you? Don’t get caught up on the daily checklist, or rushing to catch up on five days of missed reading. Getting it into your heart and mind is far more important than getting through it. If you spend a week on one chapter, or a month in one book, read it until it comes alive in your heart. (Something I do is read until I’ve received revelation. Some days that’s three verses in and on others, it’s three chapters. I don’t stop reading until I’ve felt God speak to my heart and share with me something new). 5. Bring something to write with, and come expectant. Underline, highlight, circle those words that seem to jump off the page and light your heart on fire. When you see come across something you don’t understand, write the question down (and then ask a friend, or look it up using a Bible Study tool). If you notice something intriguing, make a note. Don’t be afraid to write it right in the margin, or, if you’d rather, bring a notebook into your Jesus time to collect all your questions, and revelations. When you start reading sections of the Bible instead of random verses, you begin to see the big picture: in the Gospels you read the references to the prophecies that you’ve read before in the book of Isaiah. You read the Psalms that David wrote when he is woeful, and you understand why because you’ve read the account of his life. You see Paul repeating the same commands to the church over and over— in one chapter it is stated three times— and you realize it is the equivalent of using ALL CAPS to reiterate a point. When you read the gospels, you take note of how all four authors shared the same account but with different details, and it gives you perspective on the character and ways of Jesus. You receive revelation when you go from reading to studying the Bible. If you’ve been playing Bible roulette (opening the pages randomly and reading wherever your finger stops on the page), I would encourage you to take the step to go a little deeper (like going from the elliptical to lifting weights at the gym). Be intentional about your Bible reading, and watch your appetite for the Scriptures grow. Make goals for yourself, or find a friend or group to study with, and if you need help staying motivated, that’s where the checklists and apps are helpful! My prayer is that there would be a resurgence of love for the Bible. Not just reading the two verses listed in our women’s Bible study book, or highlighting whatever passage our pastor was preaching from on Sunday. I want to see people excited to immerse themselves in it— reading it, studying it, memorizing it, living it. I pray that the next generation would be known for their hunger to understand the Bible for themselves. Not so they can spout off the sound bytes of a pastor or teacher, but so they can defend their faith intelligently when they are pressed for an answer. I want to see my kids excited about reading the Bible— not just familiar with the characters and stories, the miracles and events, but even more— the thread that pulls the whole thing together. I want them intimately aware of the overarching story of a God and His Rescue mission for His people— a love story that has both a glorious beginning and victorious ending. Thriving Community: What Does It Look Like?